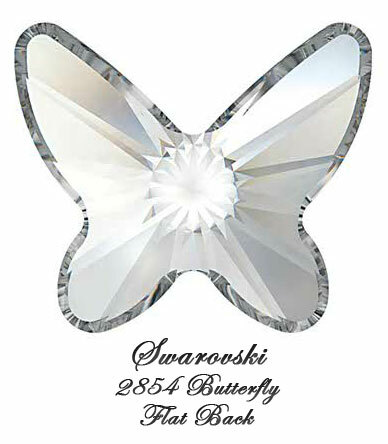 Swarovski Crystal Flatback 2854 Butterfly was released in late 2010, as part of their Innovations Autumn/Winter 2011/23. The 2854 Butterfly was designed to represent a symbol of rebirth. It lends itself smoothly towards nostalgic elements. Botanic elements are popular in major design areas from interiors to fashion, accessories, and jewelry. It is easy to glue onto any material such as plastic, wood, glass, textile backings.